This blog includes information for financial startups & entrepreneurs. Read the takeaways from successful of P2P (peer-to-peer) payment app, Square’s Cash App. Let’s check out what’s inside? The market for peer-to-peer transfers has already surpassed the worth of $1 trillion. These apps make transferring money faster, less expensive, and more precise. Furthermore, money transfer app is responsible for 27% of finance downloads so far in 2018, up from 13% three years ago. Americans are paying each other by using mobile apps more than ever. From 2018 to 2021, the total volume of peer-to-peer (P2P) transactions in the United States could rise from $156.49 billion to $244.03 billion, as per the latest report eMarketer. According to the recent survey by Zelle, peer-to-peer payment apps are becoming more popular among all age group of people. Today, the maximum number of people prefer using payment apps when it comes to money transfer. The survey is conducted questioning 9000 people and it shows that 75% of Millennials, 69% of Generation X, and 51% of Baby Boomers make of mobile or online P2P payment apps. 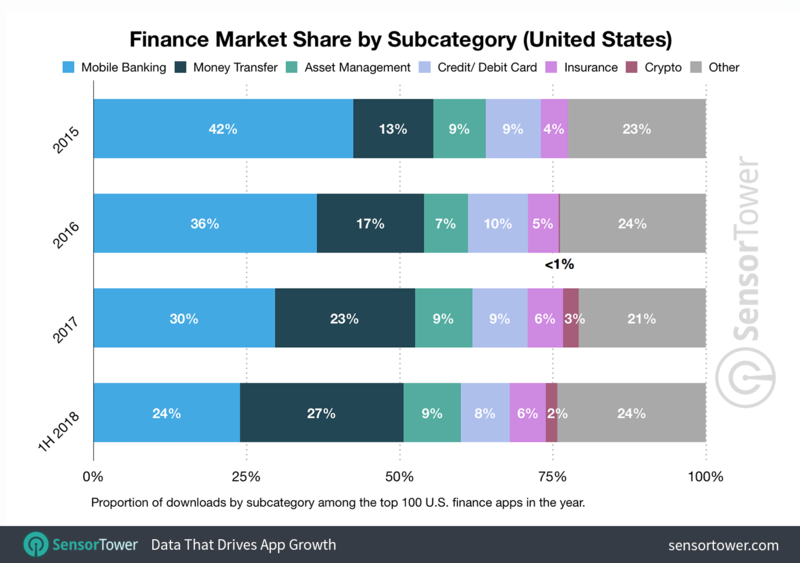 Here is another report from Sensor Tower, showing the top finance apps by U.S. downloads. In the image, you can see that in the year 2015, the large mobile banking apps were Chase, Bank of America, and Wells Fargo. By 2017, the top spots were controlled by PayPal, Square’s Cash App, and Venmo (owned by PayPal). And, again for the first half of 2018, Square’s Cash app has claimed the top spot in 2018. The market share for money transfer apps grew from 13% in 2015 to 27% for the first half of 2018. On the other hand, mobile banking apps had a corresponding decline in market share from 42% to 24% over the same period. Talking about the app downloads, since 2015, mobile banking apps have increased, and their growth was minimized by that of money transfer apps. Mobile banking app downloads increased by only 10% from 2015 to 2017. During the same time period, installs for money transfer apps about tripled from 17 million to 46 million. In addition, these apps have already been installed nearly 33 million times in the first six months of 2018. You may have noticed one thing that Square’s Cash App, peer-to-peer (P2P) payment is continually growing and at the top over their rivals like Venmo, PayPal, and Zelle. Let’s know more about the Square’s Cash App. 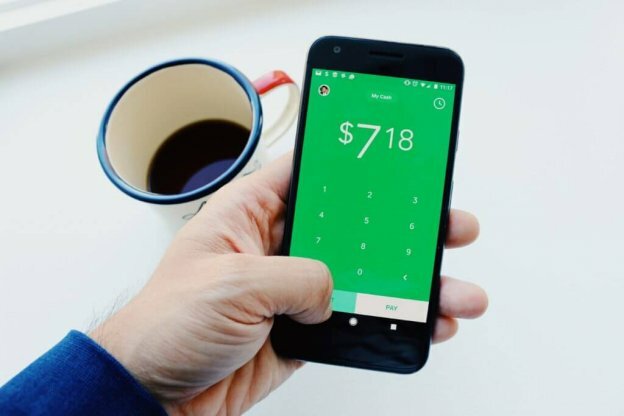 Launched back in 2013, Cash App is formerly known as Square Cash, a peer-to-peer (P2P) payment app that allows its app users to transfer money to one another by using the mobile phone app. As of February 2018, the service recorded over 7 million active users. 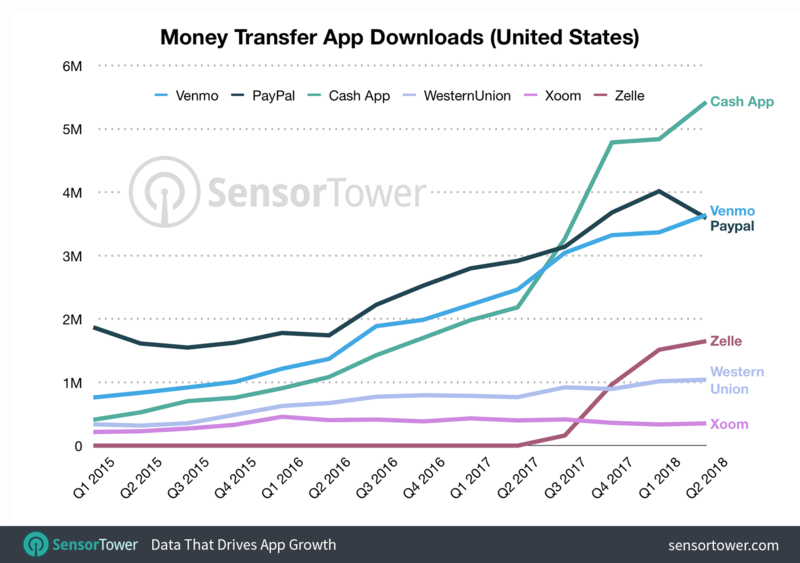 Square’s Cash App has been popular and reaching the #1 spot among other tech finance giants like PayPal, Venmo, and Zelle for the first six months of 2018, which you have already seen in the above reports from Sensor Tower. Cash App by Square surpassed Venmo and PayPal for the first time in the third quarter of 2017. It has continued to experience rapid growth till now and reaching over 5 million installs in Q2’18. In 2017, the Cash App was reported that it has processed around $1 billion transactions per year. 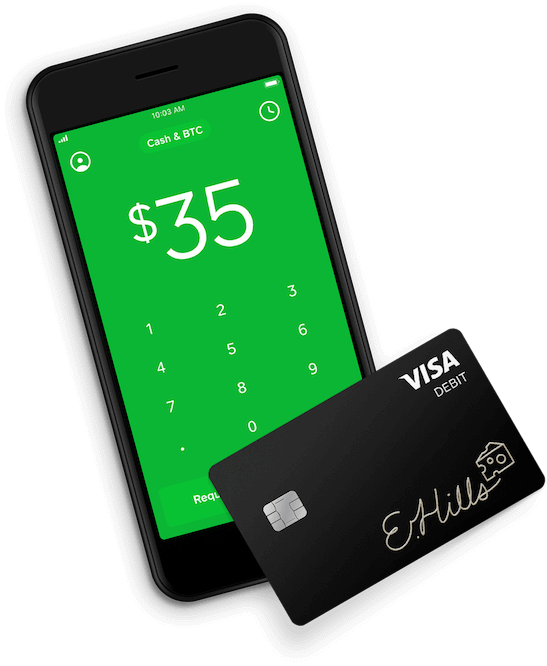 And, it makes Square Cash a real competitor in the sector. 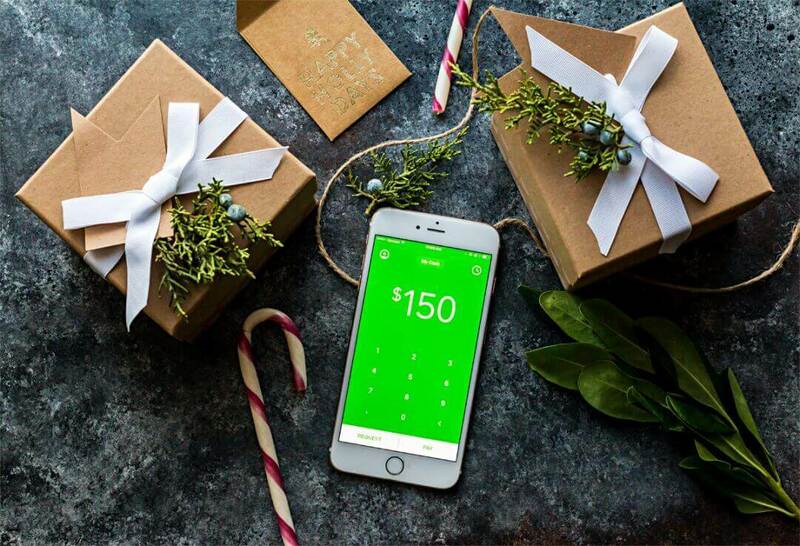 Square’s Cash App allows payments to be made in up to 25 different currencies. According to the report from SimilarWeb, Square’s Cash App (P2P payment app) is ranked #1 in the finance category at Google Play Store. This is what you can see in this image. To conclude, it is cleared that Square’s Cash App has already achieved milestones and ranked at the top among other P2P payment apps. Peer-to-peer payment apps like Square Cash, Venmo, and PayPal are quite popular among users because of simplicity. Well, simplicity is one of the core things, which you as a startup need to consider while offering peer-to-peer payment apps like Cash App or Venmo. One thing is cleared that if you are planning to create the (P2P) peer-to-peer payment app like Cash App, then you need to take simplicity as important factor. While developing an app like PayPal, Venmo, and Square Cash, you need to pick such kind of attribute, which is the core feature. One of the important key takeaways is to provide solutions, which solve the real pain points of consumers. 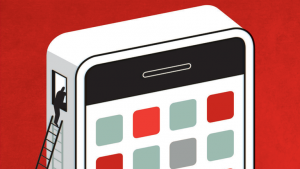 Peer-to-peer payment apps like Square Cash and Venmo are precise and less time-consuming. Without hassle, P2P payment app allows users to transfer money through mobile, desktop, iMessage. Provide multiple options to your users to transfer money as it makes it simple to transfer money on the go. Square’s Cash App is the number 1 finance app in the United States. With this P2P payment app, an app user can easily send and request money without any amount of charge. Being a startup or entrepreneur, you need to provide such solutions in terms of P2P payment app, which is fast, free and without a hassle. The important factor is safety, which you need to take care while developing P2P payment apps like Square Cash and Venmo. Well, the safety of transaction is the pivotal concern in order to provide secure transaction platforms to your app users. 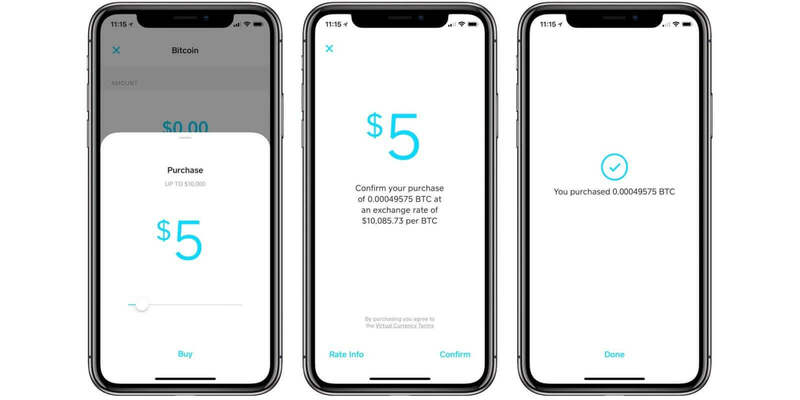 However, it is one of the biggest concerns for app users, especially who are new ones to use such peer-to-peer payment apps for money transfer. It is important to securely store your users’ financial data and sensitive details. Make sure that you provide your user with a secured P2P payment platform. So, if you are planning to create P2P payment app, then you can’t miss considering this crucial factor while developing secured P2P payment apps like Cash App. 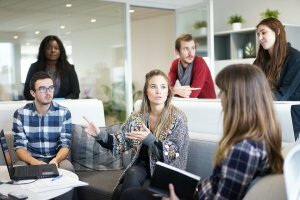 Is it still possible to earn money by developing Peer-to-Peer Payment Apps? 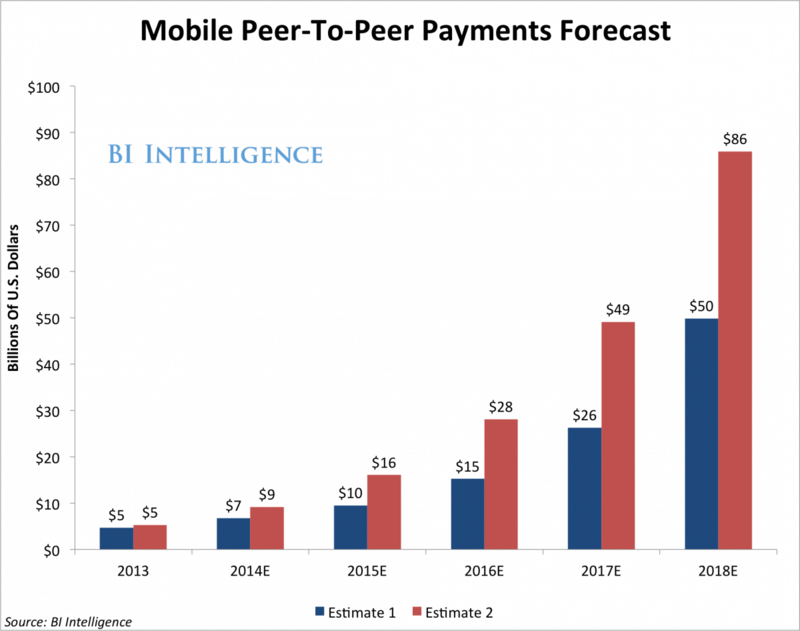 Yes, it is safe to say that the P2P (peer-to-peer) payment apps are booming and will flourish in the near future. These P2P payment apps have earned money by charging the fair amount of commission fee for commercial transactions. Talking about the Square’s Cash App, it charges businesses a 2.75% fee for each transaction. So, if you are having an app idea on P2P (Peer-to-peer) payment apps development or the development cost of P2P payment apps, then you can cross-verify it with us as we are a leading iOS/Android app development company. We have already developed over 3500 mobile apps in diverse categories with different features and functionalities like GPS real-time tracking, cross-platform ability, multi-lingual support, payment gateway integration, visual calendar, and online support. In case, if you still have any query or confusion regarding (P2P) peer-to-peer payment apps development, how long does it take to make peer-to-peer payment apps, then you can get in touch with us through our contact us form. One of our sales representatives will revert to you as soon as possible. The consultation is absolutely free of cost! This page was last edited on December 29th, 2018, at 4:53.